Illustrator, Kristin Williams, has combined her love of drawing and fiber to create one-of-a-kind, multi-dimensional pet portraits. 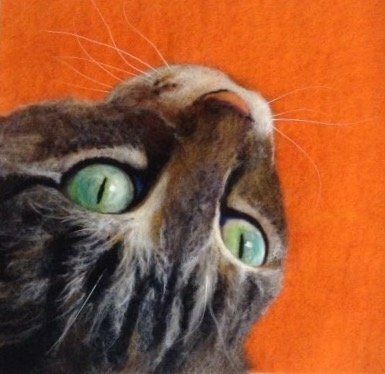 In this three-part workshop, she will take you from your furry friend's reference photo to finished fiber, keepsake portrait. Adding highlights, whiskers, and finishing details. All materials can be purchased at StevenBe, except your pet's photo. That's up to you!